B.2.1. 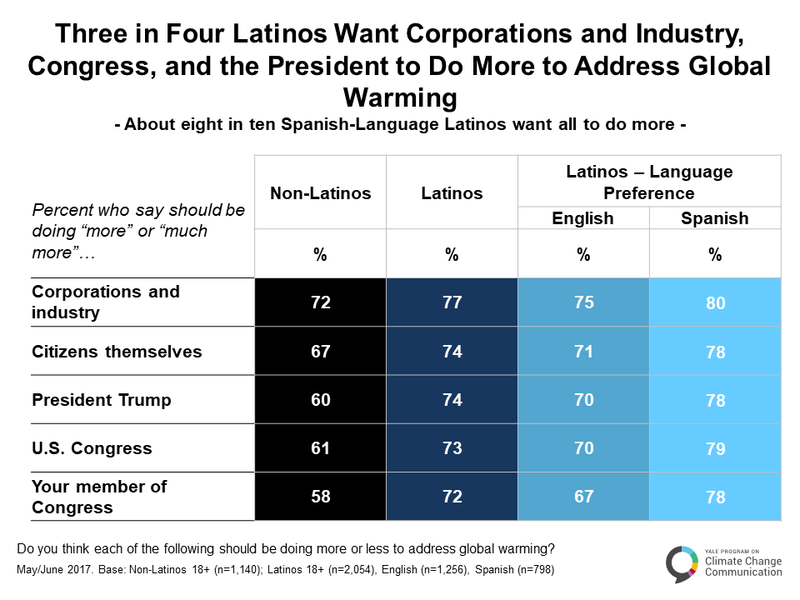 Three in four Latinos want corporations and industry, Congress, and the president to do more to address global warming. Seven in ten or more Latinos want corporations and industry (77%), the U.S. Congress (73%), President Trump (74%), citizens themselves (74%), and their member of Congress (72%) to do more to address global warming. Fewer non-Latinos want more action from citizens, the Congress, President Trump, or their own member of Congress. But nearly as many non-Latinos (72%) as Latinos want more action from corporations and industry. B.2.2. 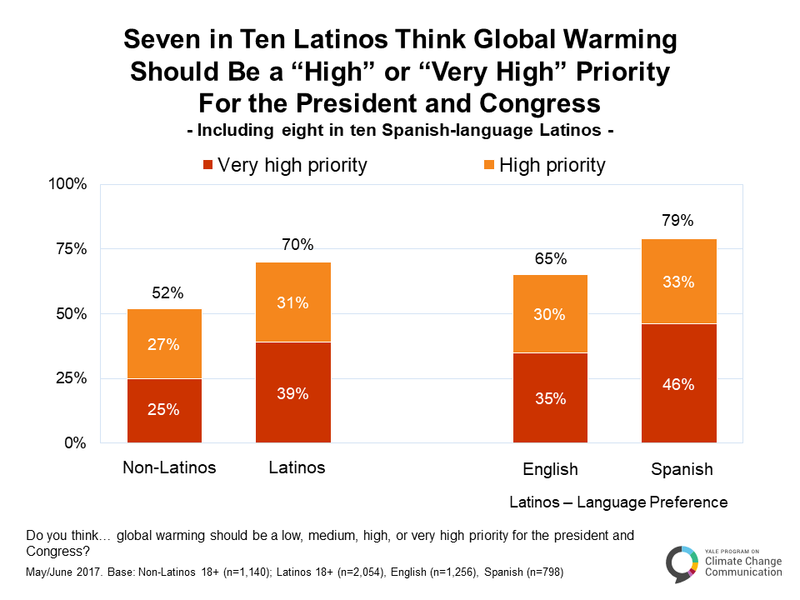 Seven in ten Latinos think global warming should be a “high” or “very high” priority for the president and Congress. Seventy percent of Latinos think global warming should be at least a “high” priority for the president and Congress, including four in ten (39%) who think it should be a “very high” priority. Eight in ten Spanish-language Latinos (79%) think global warming should be at least a “high” priority and 46% think it should be a “very high” priority. By contrast, only about half of non-Latinos (52%) think global warming should be a “high” or “very high” priority for the president and Congress. Go back to B.1. Should the U.S. Act on Global Warming?